Your Facebook feed is constantly changing. Photos you and your friends post just keep moving down until they are forgotten forever. 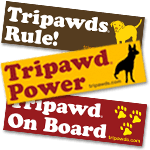 Photos are excellent reminders of important milestones in any Tripawd’s three legged journey, but still we rarely log on to Facebook to browse through these fantastic memories. 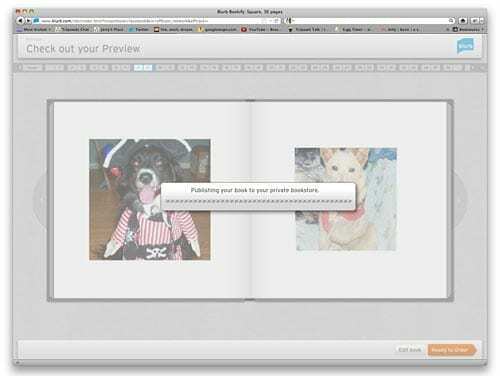 Hold on to all your favorite memories and conversations with a custom photo book from Blurb. 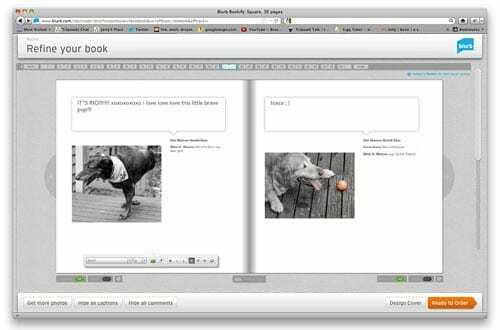 Facebook users can now easily and quickly create beautiful bookstore quality memory books in less than an hour – directly from their Wall photos, albums and comments. 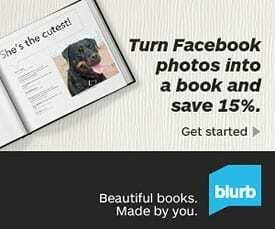 Save on Facebook Photo Books with Blurb Coupon Code! Launch Bookify, Blurb’s free online bookmaking tool. Connect with your Facebook account to add your photos and comments. Facebook Photo Books! Offer ends August 31st, 2012. 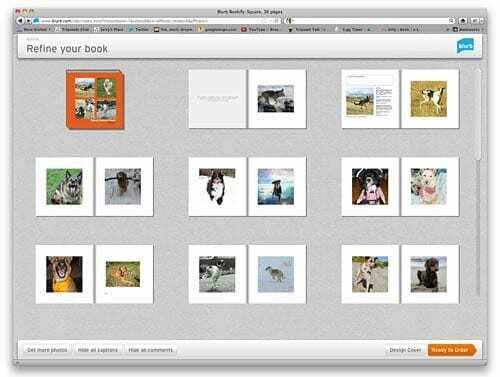 Using the Facebook to photo book workflow, anyone can quickly create a 7×7 inch square format book in just minutes, with prices starting under $11. Check out how we did it below, or get complete details about Blub Facebook photo books. 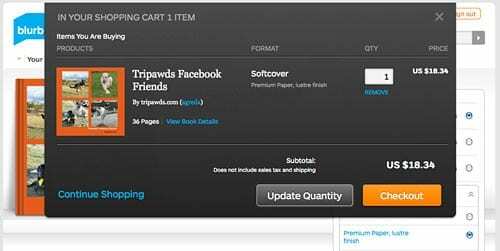 Simply launch Blurb Bookify and connect to your Facebook account. 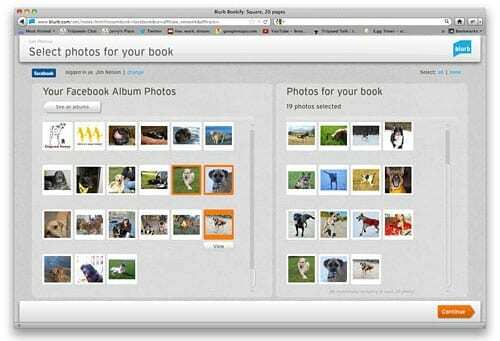 All public photos from your wall, albums, and any pages you manage will automatically be imported for you to choose from. Comment threads will instantly appear next to any photos that have them! Leave the text as is, edit comments and captions, or choose not to include them at all. Add your own custom text and choose from various fonts, sizes and colors. Design your cover and give the book a title. 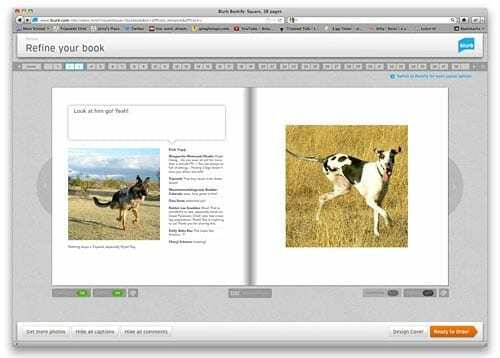 Preview your work, and create a Blurb account to publish the book to your own private bookstore. 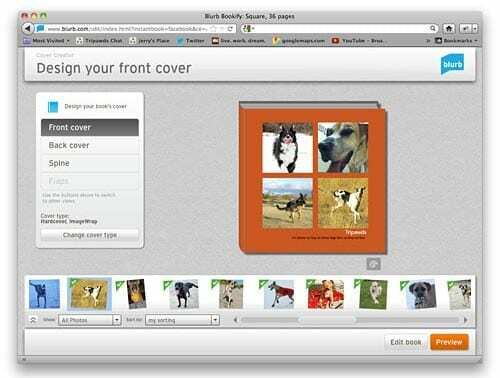 Select from various cover styles and premium paper options, then purchase your book or get multiple copies for your veterinarian and Facebook friends. Get started creating your Facebook photo book today. Stay tuned for more coupons and your chance to make a Facebook photo book for free! *Offer valid through August 31st 11.59pm Local time. A 15% discount is applied towards product totals for books made by you. Maximum discount avail is USD $200, CAD/AUD $250 or EUR 160. This offer is not valid for GBP purchases. This offer is good for one time use only and may not be combined with any other offers, discounts, volume discounts, gift cards or used for adjustments on previous orders. 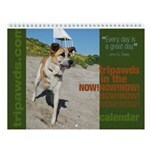 Tripawds is a wonderful support group/website for those special people caring for their tri-pawds dogs. I found this group when my beloved Trouble (shep/husky) had his leg amputated due to osteosarcoma. No one should experience this on their own…. the support and information will help in dealing with such tragic events such as bone cancer or other causes of amputation. 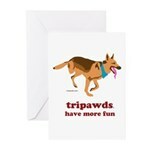 Thank you Tripawds! To be enter to win a $25 Blurb coupon for making a free Facebook photo book, be sure to use share button here and answer the secret question with a comment on that post!